Violent Transient is ready to beat your audio into shape. Promising to help you to create "dynamic, lively music", Violent Transient is a new free effect plugin from Bitsonic. 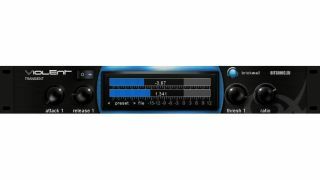 Designed to help you add some snap to sounds that are lacking in it, this features compressor-like controls but is said to deliver different results. We're told that you should use Violent Transient as the first effect in your chain, and certainly not after the compressor. You can download Violent Transient for free from the Bitsonic website. It's offered as a 32-bit Windows VST plugin.